My trip in the Galapagos, and The tortoises SLOWLY recovering. 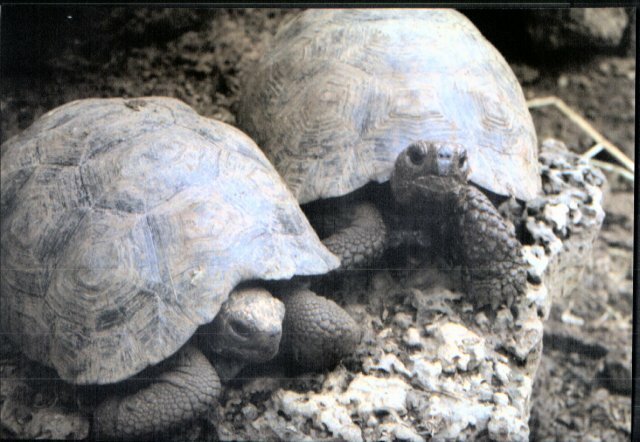 Mr. Craig MacFarland and the Tortoises that he loves so much. Craig was our tour director for this trip. He was the former President of the Charles Darwin Foundation for the Galapagos and has worked for the World Wildlife Fund also. 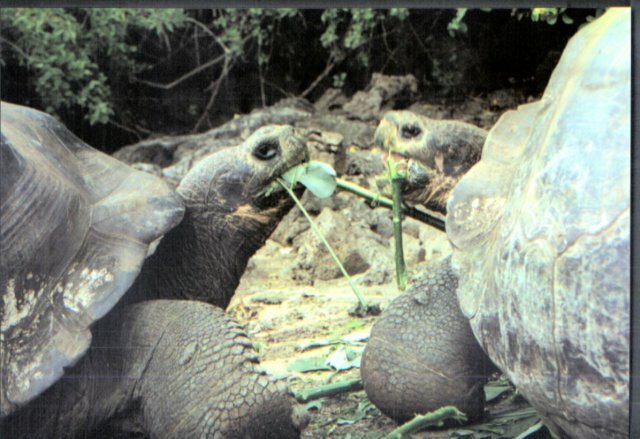 A couple of male tortoises do lunch. 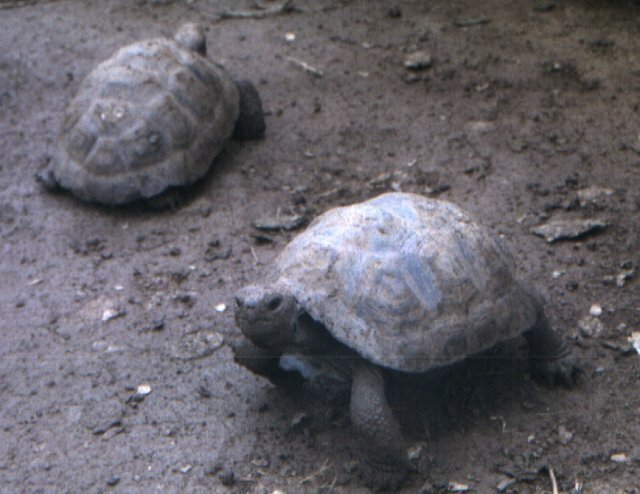 Baby tortoises the breeding/recovery program at the Darwin Station.